You’re a real go getter & deserve a treat that will fuel your body & satisfy your taste buds! 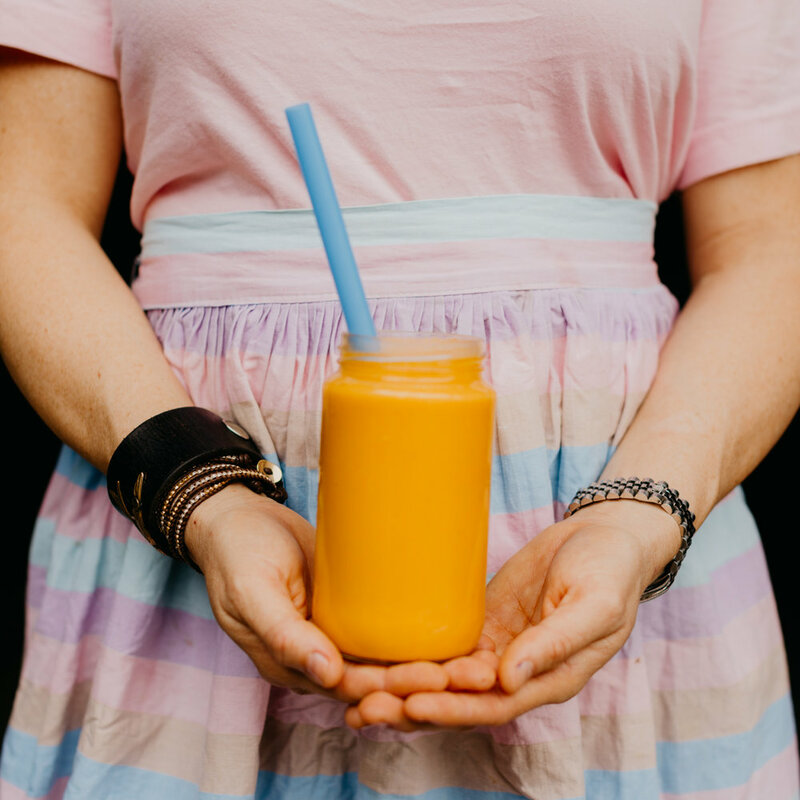 Starting this month, I will be putting together a superfoods smoothie recipe of the month just for you guys :) you can make these recipes at home or come into the Birdhouse Cafe to have us whip one up for you! Add all your ingredients to your blender & blend until smooth. What gives the Glow Getter its super powers? Let me tell ya! Bananas contain potassium + vitamins E & C, which are all essential for glowing skin. Pineapple packs a vitamin punch & it contains bromelain, an enzyme that softens skin, prevents acne & promotes an even skin tone. Ginger gives this smoothie an extra zing of spice & helps promote gut health. A healthy gut is essential for skin health. Beauty starts in the belly :) I can’t go without applauding carrots for their bright vibrant color. Carrots get their beautiful glow from Beta Carotene, an essential nutrient to promote healthy skin & eyes. Last but not least, let me brag on the lemons. Lemons are a powerful antioxidant, full of vitamins & alkalize the body. Each of these glow getting superstars deserve applause on their own, but when put together, they can’t be beat. Get your glow on, birdies!